The clinic offers a welcoming ambiance with professional services and aftercare advice. Our professionals will help you feel and look better. Our professional team is experianced in identifing skin problems, providing adequate skin solutions using the latest technology machinary and applying the latest non-surgical cosmetic procedures. 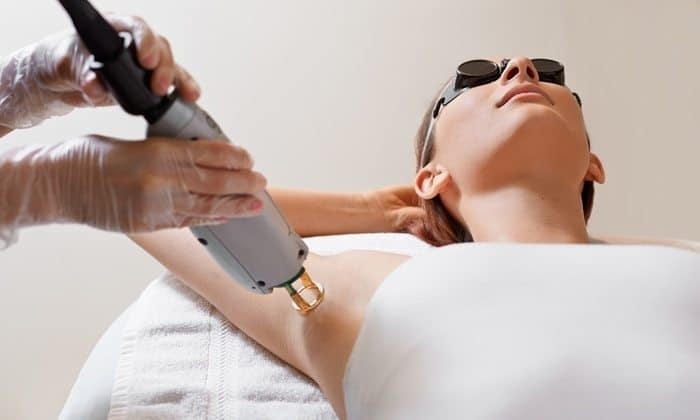 The DermaCare Clinic is specialised in Laser Hair Removal using CANDELA GentleLASE Pro, the latest in laser hair removal technology which brings about permanent hair reduction. Just imagine! No more SHAVING, no more painful WAXING, no more infected INGROWNS!! Your skin will be soft, smooth and hair free. Alot of women simply cannot lose those unwanted extra inches. The DermaCare Clinic can help you achieve a slimmer look by combining professional nutritional advice with Slimming sessions using XtraSmooth technology together with mud wraps. This dedicated combination will help you achieve that slimmer look you always desired. Whether you want to combat the effects of aging or find a solution for your skin problems, our skincare professionals can develop that custom beauty plan JUST FOR YOU! Our age-defying treatments will address all your skin problems, giving you that well deserved youthful glow! Just call us for a consultation and relax, The Derma Care Clinic will do the rest.